In its fourth year, the partnership between the Intermountain Acoustic Music Association (IAMA) and the Utah Arts Festival has blossomed and raised the profile of folk, bluegrass, Irish, Celtic and acoustic musicians not only at the festival but also the organization’s nationally juried songwriting competition. 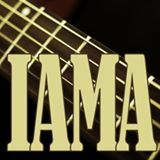 In addition, IAMA offers a songwriter’s academy open to musicians from beginning to advanced levels who can select workshops focused on specific song writing styles – blues, country, contemporary pop, cause-related music – as well as sessions offering one-on-one critiques of songs by industry professionals. 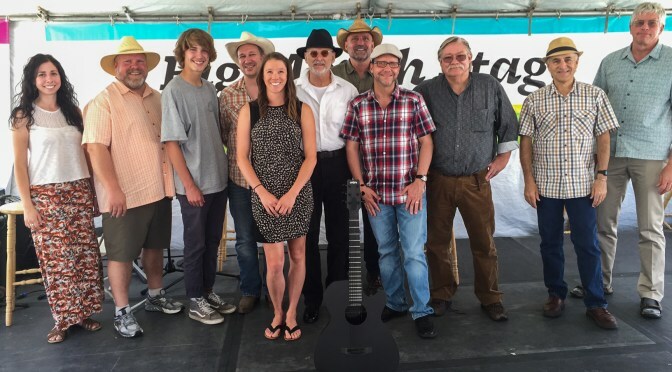 Many of the events will culminate on IAMA Day, scheduled for June 24, which is expected to bring hundreds of members of the locally based organization, which originated in the 1980s as a bluegrass group but has now grown to a multidisciplinary musical platform that is gaining recognition in the acoustic, folk and music centers across the country. In addition to a day full of workshops in the City Library and performances on various festival stages that include the finals of IAMA’s Susanne Millsaps Performing Songwriter Showcase competition, evening headliners on the festival’s two largest stages will include the Mitch Barrett Trio and Fruition, two of the country’s most respected acoustic musical groups. IAMA, which once held its own summer festival on the downtown Gallivan Center grounds, is grateful for how the collaboration with UAF has consolidated the musical platform, especially for hosting the finals of the Millsaps competition, which has been held annually since 1996. This year’s competition started with 59 songwriters from around the country who submitted two songs apiece for preliminary judging and ten finalists have been selected to compete for the finals which will be held in public performances on the Big Mouth Stage, beginning at noon on June 24. Calling the response to this year’s interest in the competition impressive, IAMA’s Todd Schultz says the competition always draws great enthusiasm not just from the finalists but also from the audiences. A blind judging format was used to whittle the slate to the ten finalists, in which songs were judged by criteria of composition. Finalists perform their original songs as solos, only using acoustic instruments. “Most bring a guitar on stage and we had a contestant recently bring on stage a portable keyboard,” Schultz explains. No piano is provided for contestants. The competition honors one of the most well-known volunteer radio personalities from KRCL-FM radio. Millsaps, who died in 2006 from cancer, started the competition in 1996 at venues which have included Deer Valley and Snowbird ski resorts. Some of the recent winners include Mindy Dillard, from 2015 who opened for John Gorka that year at the festival and has maintained a diverse schedule of concerts and festival appearances throughout the U.S. West along with musical projects that address social issues including eating disorders, and Kort McCumber, who has collaborated with Wisconsin songwriter James Moors in a duo that often is compared to the musical breadth and depth of Crosby, Stills, Nash and Young. And, two recent winners came from the same family – Josh Harmon (2016) and Rob Harmon (2013) of Heber City, Utah. More than two dozen others, who have been finalists, have found active performing and songwriting careers. The winner will perform as the opening act to Mitch Barrett Trio’s performance at 8:50 p.m. on the Festival Stage. Among this year’s finalists is a repeat winner — Kray Van Kirk of Alaska, who the 2014 competition in the first year it was held at the Utah Arts Festival. Among his numerous festival appearances was the Fringe Festival in Edinburgh. Alicia Stockman, a singer-songwriter from Park City, Utah, who also performs with Bonanza Town, a local rock band. Bill McGinnis, a regular at the Rocky Mountain Song School in Lyons, Colorado and The Moab Folk Camp where he has also served on staff as ukulele instructor, is making his third appearance as a finalist. A resident of Park City who performs at many venues located along the Wasatch Back, McGinnis will also be competing against his daughter Molly, who is a first-time finalist. 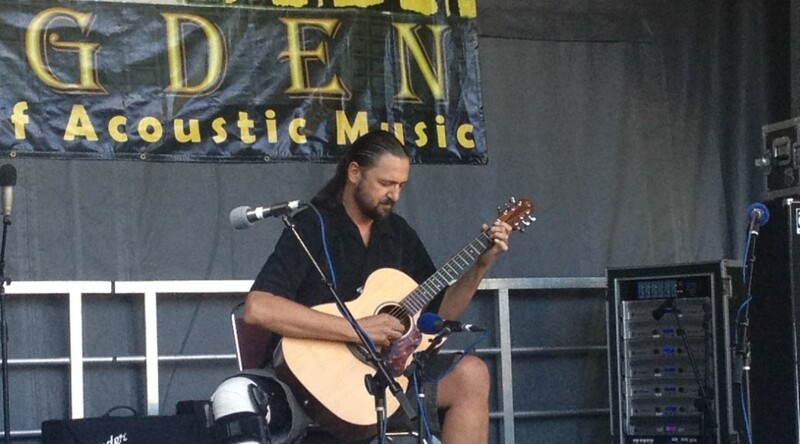 Bob Cantonwine, who has performed as a soloist in Utah as well as with Old Dog, New Tricks, also performs regularly with Hamilton, Cantonwine and Clark. Dave McCormick, a Massachusetts musician and a baby boomer who fell in love with the Beatles and Jerry Garcia, now plays bluegrass, blues, folk and Americana. Eric Wagner, whose performing credits include the bluegrass bands County Line and Down Home as well as the contra dance band Tatterjack, now plays with the trio New Folk Revival. A fishery biologist based in Logan, Utah, he has recorded extensively including six albums and a forthcoming solo project, his third, which will have 15 original songs. Jane Fallon, a New Hampshire resident who has won many songwriting competitions including, most recently, the Grand Prize in the Connecticut Songwriters Environmental songwriting competition, has performed at festivals across the country as well as in Ireland. Jen Hajj, a California singer-songwriter with Utah roots, is returning as a third-time finalist. She has performed across the western U.S. as well as in Sweden, Germany, Ireland and Central America. Rex (Utah Slim) Seabury, who counts Chris Smither, Chuck Pyle and Ian Tyson as major influences, writes songs celebrating the nation’s public lands and the people who live there. This year’s songwriter academy, which is marking its 10th anniversary, has been revised to accommodate participants who are looking for feedback on a specific songwriting style. Joining anchor instructor Kate MacLeod will be Barrett and Duncan Phillips, son of legendary folk musician and songwriter Utah Phillips. MacLeod is a vocalist, fiddler and guitar player, working regularly with other artists, MacLeod’s fiddle playing is derived from the study of many traditional folk styles in addition to classical training from where she has developed a unique expression with the instrument. Other workshop leaders include Cherie Call, Cori Connors and Steve Keen. Schultz says the workshops are geared for musicians of all levels and proficiency and many have found the workshops helpful in preparing for songwriting competitions such as the Millsaps event, which is recognized as part of the essential circuit for songwriters who hope to progress as creative entrepreneurs in the music industry. More than 100 aspiring songwriters have participated since the academy started in 2008 with participants coming from Utah as well as other states including Arizona, Idaho, Massachusetts and Ohio. While most attendees are adults, some academy participants have been as young as 15. IAMA’s yearlong schedule includes state competitions in various acoustic musical instrumental styles, a local concert series which runs on the first Friday of every month from September to May, now in its 17th year, and “open mics” which regularly bring some serious “sleeper” talent, Schulz explains. Another prominent component is dedicated to connecting younger students with folk and bluegrass music, through activities and programs both at the middle and high school levels. Schultz expects that many of the more than 600 members of IAMA will attend the festival for the June 24 events. IAMA members can attend the festival for free, along with participants in the songwriter academy and the Millsaps competition.